Update: as of spring 2017, Auvi-Q is back on the market!! Huge congratulations are in order to Kaleo and the founders/inventors of Auvi-Q, the compact, epinephrine autoinjector that gives audio and visual prompts on how to use it. Kaleo is now responsible for manufacturing and distributing Auvi-Q and they’ve addressed the production issue using high-tech manufacturing with robotics. 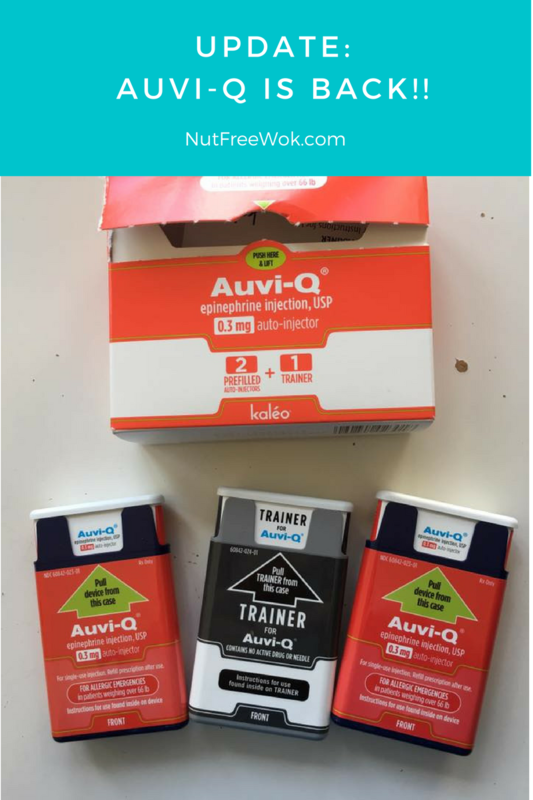 Our insurance (Blue Cross/Blue Shield) does not cover the Auvi-Q so we qualified under Kaleo’s Affordability Program to receive Auvi-Q for free ($0) by mail. The ordering process is easy, I download a form, fill it out, give it to my doctor, who fills out the prescription and faxes it to Kaleo. Kaleo checks with my insurance to find out it is not covered and they make arrangements for a local pharmacy to ship them to me on a mutually agreed upon date at no cost to me. The Auvi-Q arrives via FedEx on time and my family is thrilled. I don’t know how Kaleo can afford to give away their Auvi-Q for free to patients who qualify but I’m grateful. 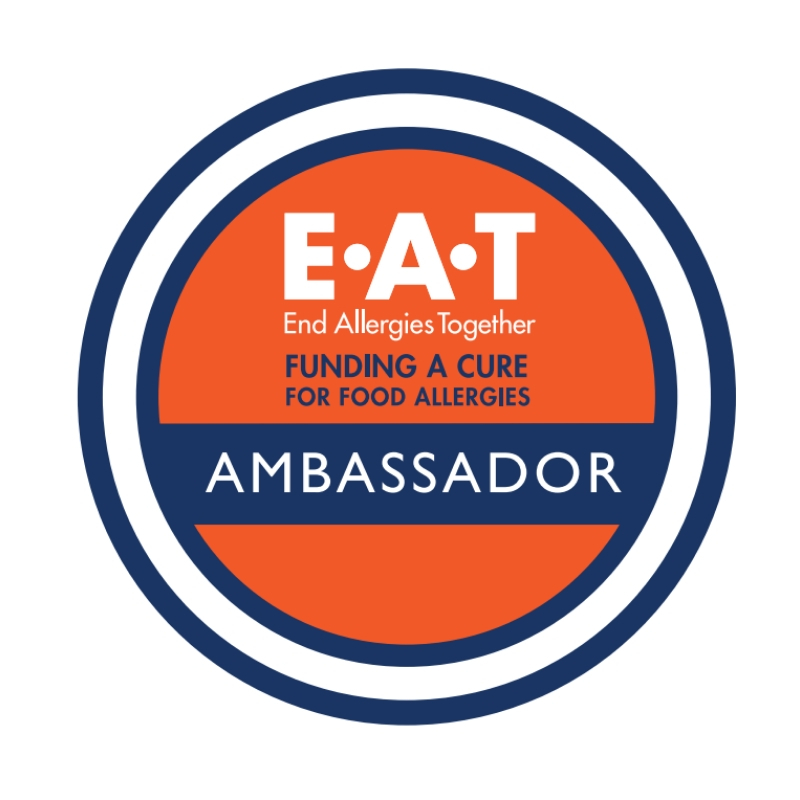 I heard have heard Eric and Evan Edwards share their personal stories about food allergies and know that we are all in the same boat, trying to stay safe and having access to affordable epinephrine autoinjectors. We definitely need more options at different price points! 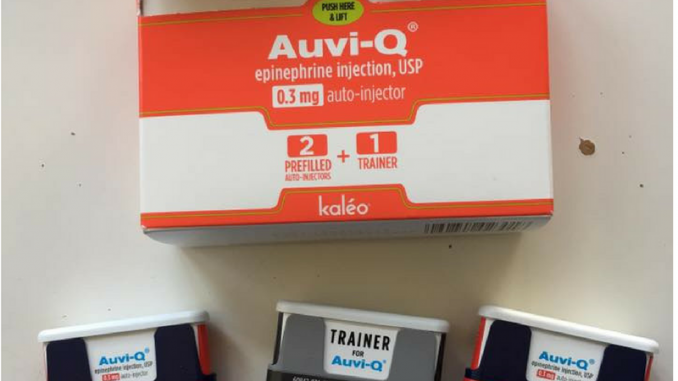 Discuss with your doctor whether Auvi-Q is the right epinephrine autoinjector for you. 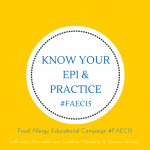 It doesn’t matter which epi you have or use, but the most important thing is to have access to epinephrine, carry them with you, and to know when to use it. Every moment counts. Be safe! 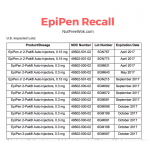 If you haven’t heard yet, Sanofi voluntarily recalled their Auvi-Q, also known as Allerject in Canada, epinephrine auto-injectors. Please take a minute to read. 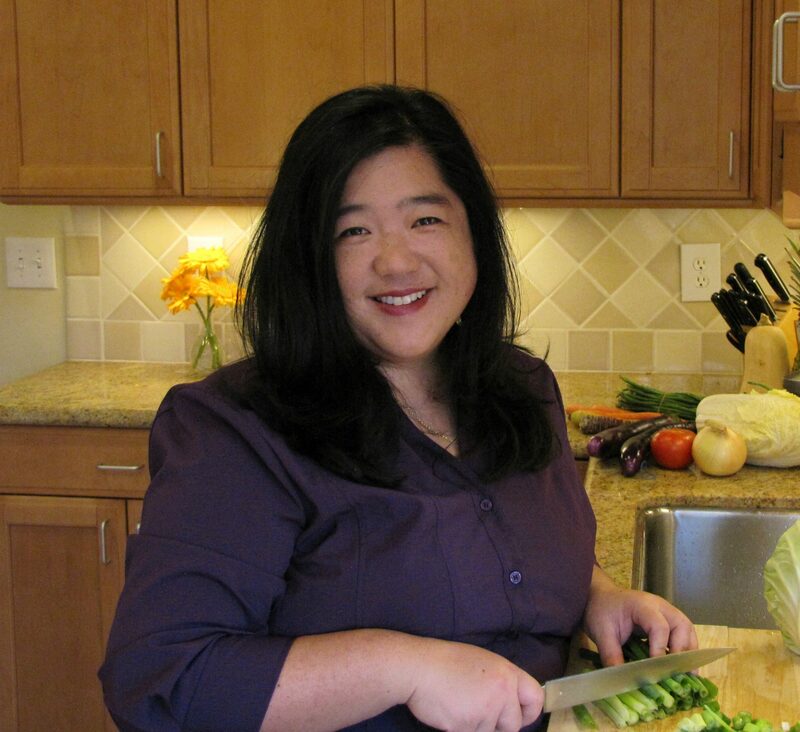 I am grateful that Sanofi invited me to join them on a conference call with Sanofi representatives and Chief Medical Director, Dr. Paul Chew today so that all of us have the most up to date and accurate information. Disclaimer: Please know that I have not been paid or received any material benefit to share this information with you. 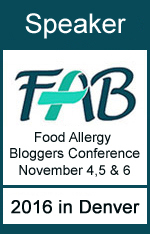 I choose to so because I want to pass on important information to my readers. Since I am not a doctor, please refer to your doctor regarding any questions or concerns you may have about this issue. The Auvi-Q website should be your primary source of information and Sanofi assures us on the conference call that they will continually post updates and respond to frequently asked questions. For the benefit of those who are hearing this news for the first time, here are some of the important details as shared on the Auvi-Q website. 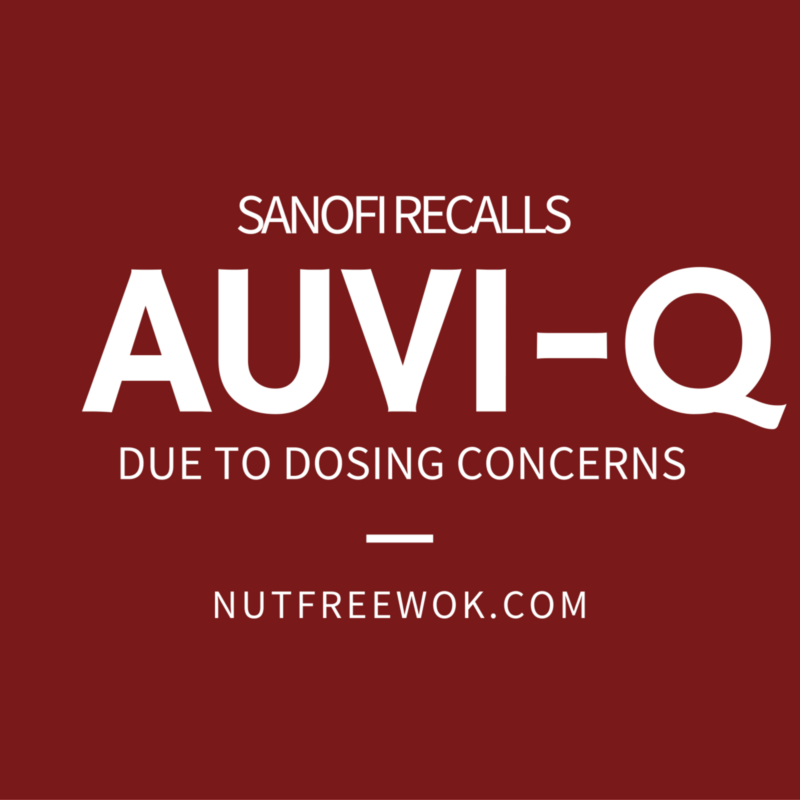 Sanofi US is voluntarily recalling all Auvi‑Q® (epinephrine injection, USP). 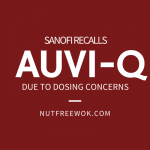 The recall involves all Auvi‑Q currently on the market and includes both the 0.15 mg and 0.3 mg strengths for hospitals, retailers and consumers. This includes lot numbers 2081278 through 3037230, which expire October 2015 through December 2016. The products have been found to potentially have inaccurate dosage delivery, which may include failure to deliver drug. The main concern which prompted the recall is that the devices might not deliver an appropriate amount of epinephrine. 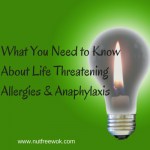 The possibility that too little epinephrine or none at all could have dire consequences in case of a severe life threatening allergic reaction. Therefore it’s important to replace your existing Auvi-Q as soon as possible. It is extremely risky to trust the devices in case they fail. However, if an emergency arises while you are waiting for a new epi prescription to be filled, it is better to use an Auvi-Q rather than not at all and then call 911 to seek immediate medical assistance. 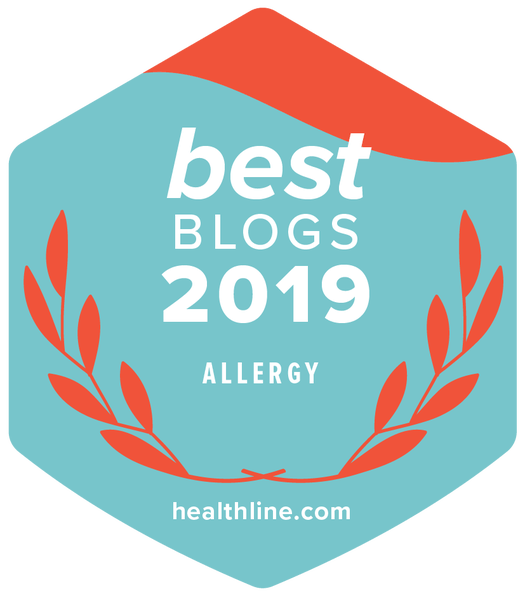 There are two alternative epinephrine auto-injectors on the market right now, Mylan’s EpiPen and the generic Adrenaclick. Talk with your doctor about which one is best for your situation. You will need to obtain a new prescription and replace your Auvi-Q as soon as possible. Mylan confirms that they have enough EpiPen supply to meet this new demand. If you need new epi for your child, check that their Emergency Care Plan and medication in school forms are up to date as well with the name of the new medication. Call Sanofi or email them, save your receipts. If your original Auvi-Q costs more than your replacement device, you will be reimbursed for the difference if you can provide the original Auvi-Q receipts. Please refer to the Auvi-Q website and follow their instructions. Customers with questions regarding this recall can go to www.Auvi‑Q.com and call 1‑877‑319‑8963 or 1‑866‑726‑6340 Monday through Friday 8 a.m. to 8 p.m. ET for information about how to return their Auvi‑Q devices. Sanofi US will provide reimbursement for out of pocket costs incurred for the purchase of new epinephrine auto‑injectors with proof of purchase. In addition, if you purchased Auvi‑Q at a cost that exceeds the cost of your replacement device, Sanofi will compensate you for the difference, with proof of original and replacement product purchases. After you call Auvi-Q and provide them with your contact information, they will send you a pre-paid mailer in which you may return the Auvi-Q devices. Please send them back so that Sanofi can conduct a thorough investigation and identify the exact issues regarding this recall. You must send back recalled Auvi-Q in order to be reimbursed. Even if your replacement devices end up costing $0 due to your insurance coverage or manufacturer’s coupons, please send back all of your Auvi-Q devices anyways. Help Sanofi to conduct a thorough investigation and resolution of any safety issues by returning recalled Auvi-Q. When I first heard about the recall, I contacted our doctors to let them know that we needed a new prescription and why so that they don’t prescribe or refill any Auvi-Q prescriptions. I notified our pharmacy so that they can activate their recall process. I shared on social media and emailed friends and school officials. Over the next few days, I received phone calls from my children’s school asking me to bring in replacement epi so I knew that the news was spreading via school. When I dropped off one of my son’s new epi today, the health clerk told me that he went to a meeting and was able to inform others about the recall. You can help by sharing this information in your community. Save receipts and submit them for reimbursement if applicable. 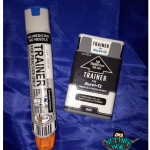 If you are prescribed Adrenaclick, be sure to ask for or order a free trainer and learn how to use it. 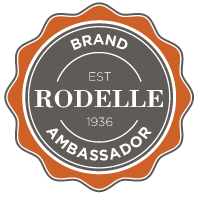 Use this link, you will need to scroll down a bit. Return all recalled Auvi-Q or Allerject devices, including expired or used ones. We were late adopters to Auvi-Q as we waited for our insurance to cover them. When we finally switched this summer, my sons loved the very compact design so they could carry their medicine discretely. As disappointed as we are, I am grateful that Sanofi made the decision to recall their product if there is any chance that the devices won’t work as expected. Sanofi has been very pro-active to handle this massive recall with patient safety in mind. Please share this information with anyone who has Auvi-Q devices but might not have heard about the recall, thank you. Sanofi and Mylan both sent me information regarding the recall. I have no financial or material connection in sharing this information with you other than my hope that it would be helpful to you. All opinions are my own. If you have any questions, please consult with your doctor.